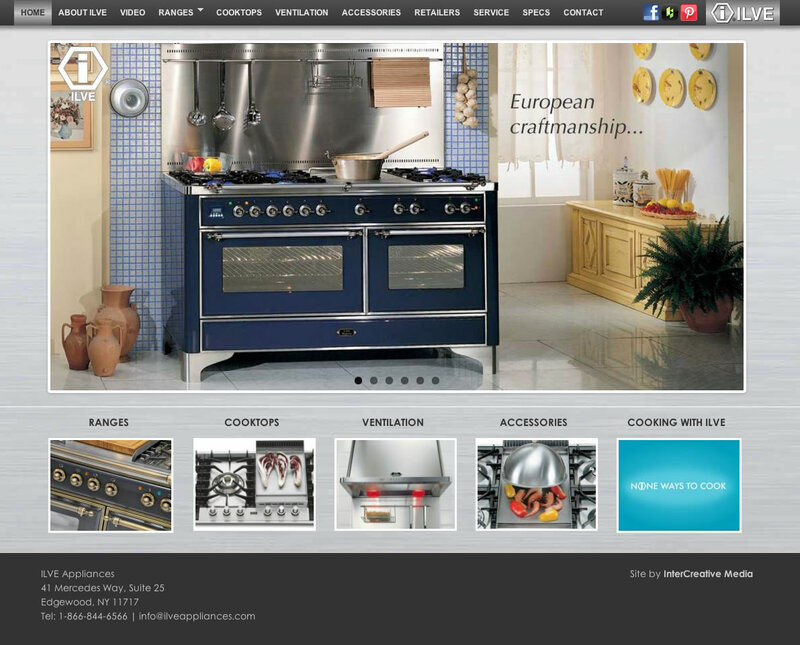 ILVE Appliances manufactures top-of-the-line oven ranges, cooktops and accessories - hand-crafted in Italy, their ranges are recognized as among the finest in the industry. ICR Media took on the task of creating a modern web presence for them using adaptive design; as far as we know, this is the first website of its kind in the field. At the heart of the site is a custom-designed range selector interface, where you can "build your own" ILVE range. Color, trim and cooktop configuration are all selectable via an easy-to-use interface where the user is presented with an accurate preview of any of literally hundreds of range options, as well as all relevant specs. Among the many other features of the site is a Dealer Locator interface, where users can find the closest retailer/service center in their area. ICR was pleased to be able to set what we hope will be a new website standard for high-end consumer ranges - if you're passionate about cooking, check out the site and... Buon Appetito!